hi,I have changed a computer and Could you help me? At first, I go on install php7.I enter codes like that in the terminal: sudo apt-get install curl php7.0-cli git. everytime I install some thing,this warning occur. 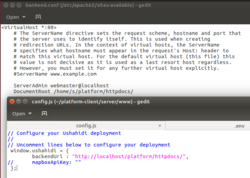 I set up database,create .env file and correctly write in lines match the DB_HOST etc. why can`t I remove php7? or can we just delete the document under etc called php? I need to redo all thing ,or just start do bin/update where I meet error? Note: if you're getting set up for development, you might want to fork the repository first. what does fork the repository mean? I need to ignore this warning or update them as told? npm WARN deprecated graceful-fs@1.2.3: graceful-fs v3.0.0 and before will fail on node releases >= v7.0. Please update to graceful-fs@^4.0.0 as soon as possible. Use 'npm ls graceful-fs' to find it in the tree. ok, thannnnnnk you from the deep of my heart. should I cd platform-client to clean? I have run this code before you come back to help me .Does that matter? Is there any other way to install it? must I get platform-client under the platform or any where would be ok? npm ERR! 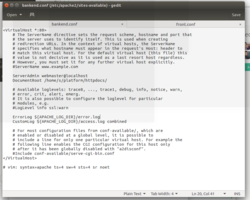 argv "/usr/local/bin/node" "/usr/local/bin/npm" "install" "-g" "gulp"
npm ERR! 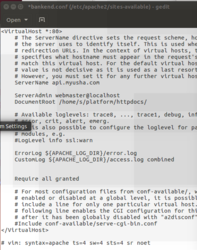 argv "/usr/local/bin/node" "/usr/local/bin/npm" "install" "--verbose"
why here is a ssl.conf ;should I write ss.conf too? then, what can i do now? [David Losada, Ushahidi] and ..
[David Losada, Ushahidi] maybe uncomment ServerName .. set it to “ServerName api.myusha.com"
[David Losada, Ushahidi] in /etc/hosts you would have “127.0.0.1 myusha.com api.myusha.com"
[David Losada, Ushahidi] your backend url will be “http://api.myusha.com"
[David Losada, Ushahidi] did you use api.myusha.com ? [David Losada, Ushahidi] ok, did you change /etc/hosts too ? 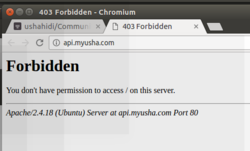 [David Losada, Ushahidi] > in /etc/hosts you would have “127.0.0.1 myusha.com api.myusha.com"
[David Losada, Ushahidi] after restarting apache, you should try opening “http://api.myusha.com"
[David Losada, Ushahidi] you are welcome, good luck!